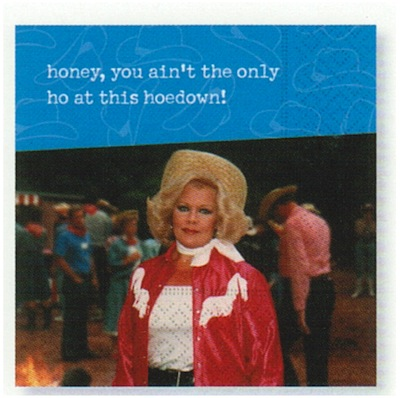 "Honey, you ain't the only ho at this hoedown!" Each napkin measures 25cm x 25cm. 20 3-ply beverage napkins per pack.